With their naturally inquisitive nature, dogs young and old are capable of getting into a number of different things in the home. For the most part, this is just a minor nuisance. But what happens if they consume something that's hazardous to their health? Thousands of dogs each year are poisoned by everyday items you may use on a regular basis. These toxic substances can cause a number of different symptoms ranging from gastrointestinal issues to death. Problems can arise fairly quickly, so it's important that you understand what's dangerous to your pooch and how to keep them safe. Here are 10 of the most dangerous substances to dogs that you may have lying around your home. A variety of different medications can be harmful to dogs, regardless of how much is consumed. While they may help humans achieve good health, even over-the-counter medications can cause harm. These include pain medications, cold medicine, muscle relaxants, blood pressure pills, and much more. The exact symptoms that will occur depend entirely on the specific medication. Some will cause stomach ulcers and vomiting while others will elevate their heart rate, leading to neurological damage, seizures, and even death. Insecticides are great for keeping pests out of the home. Unfortunately, dogs can easily consume or inhale the substance if it is sprayed in their living space. 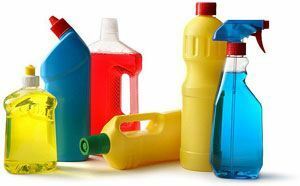 These toxic chemicals contain organophosphates and carbonate, which are very dangerous for dogs. If it is consumed or inhaled, dogs may start to have vomit and salivate more than usual. This can eventually progress as the toxins travel to throughout the body. Ultimately, the dog will start to experience muscle tremors and seizures. Household cleaners cover a wide range of different products, including glass or floor cleaners, pool chemicals, and much more. When this occurs, dogs can show symptoms like depression or stomach issues. With serious cases, dogs may experience chemical burns, kidney failure, and death. This product is specifically made to kill rodents in the home. They contain ingredients like anticoagulants, phosphides, and numerous other poisons depending on the specific formula. Because they're made to attract rats, they are often seen as a treat by curious pooches. Not only that but dogs that eat a poisoned rat will also experience problems. When ingested, it can take up to four days to show symptoms. These include coughing, weakness, and depression. Inside, the dog may be experiencing excessive bleeding and kidney failure. If left untreated, seizures and neurological damage will occur. Used to make plants flourish in the backyard, fertilizer contains a mixture of different ingredients that vary based on the formula. Typically, they contain high levels of nitrogen, phosphorus, and potassium. Whether they're sprayed in liquid form or spread onto the ground as granules, these ingredients can lead to gastrointestinal problems. Furthermore, many fertilizers contain insecticides that will only cause further harm. Depending on the amount ingested, the caustic fertilizer can harm the lining of the gastrointestinal tract and lead to vomiting, diarrhea, and other irritations. Antifreeze is a product that's used in everything from car engines to HVAC systems. It lowers the freezing point of water-based liquid to prevent damage to various equipment. Dogs are attracted to the taste and smell of the product, which could be problematic if owners have a bottle of it lying around in a garage or there's a leak. Heart failure can occur after only 12 hours of ingesting antifreeze. If left untreated, dogs can experience symptoms like depression, vomiting, and drunk-like behavior. Eventually, they can experience renal failure, coma, and death. This product is a popular sugar substitute that's present in a number of healthy foods. It's primarily used in sugar-free candies. While it may be great for humans, the ingredient can cause life-threatening issues. It will drop a dog's blood sugar significantly in only a short period of time. This hypoglycemia can result in noticeable weakness and seizures. Beyond that, the dog will start to experience liver damage that can have life-altering consequences. 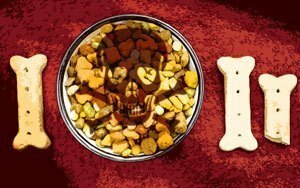 Most owners know not to feed their dog chocolate, but exactly what makes it harmful? Chocolate contains compounds known as methylxanthines. More specifically, it has theobromine and caffeine. The effects of eating chocolate can range from vomiting with small quantities up to tremors and death with larger amounts. Dark and bakers chocolate are more harmful to dogs as they contain more theobromine. However, milk chocolate will also do harm if too much is consumed. Some plants contain dangerous toxins that can cause significant issues. Because they have a colorful appearance and sometimes pleasant smell, it's not uncommon for dogs to consume bits and pieces if the plant is kept indoors. The most dangerous plants for dogs include sago palms, azaleas, tulips, and daffodils. Sago palms contain seeds that carry toxins. If eaten, the dog will experience vomiting and liver failure. Dogs that eat any part of an azalea plant will have digestion issues, coma, or death. With tulips and daffodils, dogs can show signs of increased heart rate and convulsions. These products are designed to help treat specific issues. Unfortunately, not every dog is going to react the same when using them. 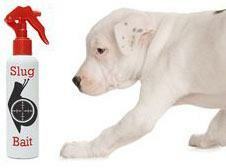 The most common products that cause harm are flea and tick medications. Topical solutions are designed to prevent pests from invading the pooch's fur. However, dogs will often ingest a significant amount of the product through licking their fur. They may start to vomit and show signs of gastrointestinal problems. Depending on the product, symptoms may worsen over time. Other potentially hazardous products include painkillers, worm medication, and deodorizing sprays. The key to avoiding any potentially dangerous situations is to keep harmful products under lock and key. Keeping harmful substances away from the dog will reduce the chances of accident poisoning. With that being said, it's not always possible to keep these substances out of the home completely. Here are a few ways to keep your furry friend safe. Dogs are adventurous creatures, so don't assume that items on a table or counter are out of reach. Dogs can easily find a way to access items that aren't locked away. Even medications in child-proof containers are no match for a dog's strong teeth. The best way to keep dogs safe is to store medication and chocolate in a high cabinet or shelf that's out of reach. If you happen to drop a harmful item, it's important to find it before your pooch does. When it comes to plants, try to go with a pet-approved option . If not, make sure to store the plants away from the dog. It's important to account for falling leaves and seeds. Cleaning products are generally impossible to avoid, especially when you have a rambunctious dog in the home. It's important to limit your dog's contact with harsh chemicals as much as possible. If you must use these products, keep the dog outside or in a separate room for the time being. Alternatively, opening a few windows to increase circulation will dissipate fumes much quicker. When it comes to storage, these products should be kept on high shelves or in an area that the dog doesn't visit, such as a closed pantry. Poisons to get rid of pests should be stored in secure metal cabinets. If they need to be used, it's important that you keep a watchful eye on your dog. If possible, wait until they're not around to use them. Have the dog stay at a friend's house or boarding facility if you're worried about what the pooch will do. If the product is being used outside, it's important that you keep the dog away until the product has done its job and you've cleaned the area. Also, make sure to inform any neighbors to ensure that their dogs aren't poisoned. When it comes to pet products, the effects really are a crapshoot. To avoid potential issues, consult with a veterinarian about what's suitable for your dog. They will typically know what's safe to use and what's not. If it's an over-the-counter product, read the instructions. These products always come with detailed directions and warnings to keep your pet safe. Investing in a cone to prevent licking the application area is a great option. Your home probably contains a number of dangerous items for your dog, but that doesn't mean you have to ditch everything to keep them safe. It's important to be cautious about what you give your dog access to. Keep toxic items in a safe place and always exercise caution. With the right knowledge, you can keep your dog safe from harm. Also Read: Can Dogs Eat Pizza?